When you love what you do, it shows. We are proud of the work we have done in 2016! First and foremost, we are honored that our office has been selected by so many discerning patients. We understand that finding the right dentist can be a challenge, and it pleases us that we have welcomed so many new and existing patients into our office this year. In addition to providing consistently outstanding patient care, Dr. Richard Winter also received some distinguishing awards in 2016. In Dentistry Today, Dr. Winter was recognized as one of the 230 dentists leading the way in Continuing Education in dentistry. His lectures cover topics such as dentures, reconstructive and implant dentistry, and advanced treatment planning for implant cases. 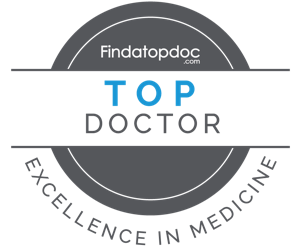 Winter was also named a Top Dentist in the Milwaukee area by topDentistsTM. This listing was established to answer the question “If you had to refer a patient to a dentist, whom would you choose.” That means, Top Dentist recognition is handed out by peers, not by consumers. It is an honor which Dr. Winter is proud to have received. What was it we said about loving what you do? Oh yes! It shows! In 2016, Dr. Winter’s passion for the delivery of exceptional dentistry explained in his lecture on general dentistry: General Dentistry As A Specialty. Increasing the fun and the predictability of composite restorations. “Upgradeable Dentistry,” which focuses on incremental planning through which patients’ long-term needs are met. How to plan for success in complex dental treatments. Engaging patients in the care of their teeth and gums to enhance the benefits of professional care. These topics and more were shared with dentists from regions of British Columbia, Canada, and were also presented as a Fall Membership Course at the Michigan Academy of General Dentistry. We are happy to contribute to the field of dentistry as a whole, and to our patients’ lives by offering compassionate dentistry in a friendly office.